Designed to blend seamlessly into any environment, the SureCall Ultra Thin Antenna is a low-profile indoor dome antenna for SureCall in-building cell phone signal booster kits. 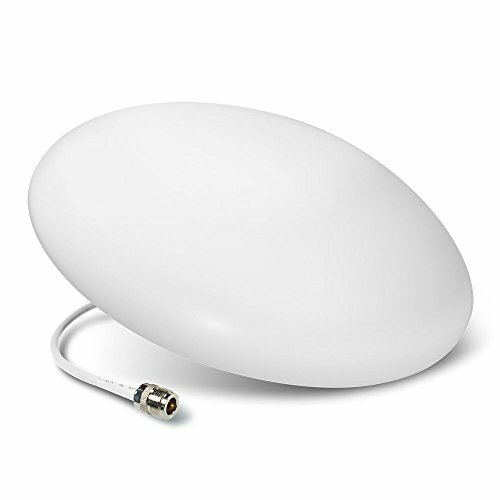 Ultra Thin is a slim, omni-directional 50 ohm ceiling-mount antenna that transmits and receives signal in a 360 degree pattern- covering 2G/3G/4G and WLAN systems for Cellular, PCS, AWS and LTE frequencies. Ultra Thin is designed to be mounted on the ceiling and connects to a SureCall booster with SC-400 cable (N-male connectors) which is sold separately.